I am never one to follow rules...I use the products I like and which work for me. I don't use all of the same products. I like to mix and match skincare, just like my clothes. I use or wear whatever floats my boat and that can be different every day. This cleanser is gentle and lovely. I wouldn't even say it foams to be honest. 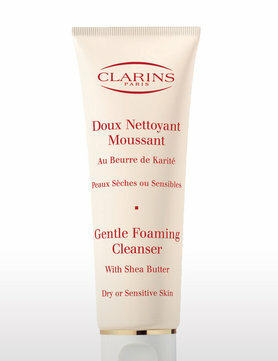 There seems to be no drying agent at all...which is what normal foaming cleansers tend to do. The cleanser has shea butter in it and you can tell. My skin feels soft and clean after using it and not dry and tight at all. I would say that my skin is a bit of a combination. Sometimes it's incredibly dry (could be dehydration) and sometimes it's a bit oily (depending on the time of the month) so this cleanser really works well for me any time of the month. Clarins also has their original Gentle Foaming Cleanser which isn't for sensitive skin which can work well on oilier skin or normal skin, but I quite like this Shea Butter version as I am very concerned about drying out my skin and making it look older than it already does. After I cleanse my face I use either of these following products. 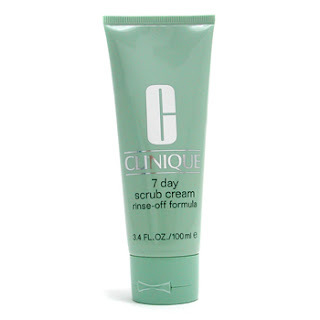 This scrub is a little more gentle on the skin...seeing as you can use it 7 days a week. It's more of a cream base and leaves the skin soft. It is good for oily to normal skin and would probably work a little bit better for more sensitive skin. However it will still give you a lovely polished finish and clarifying qualities of the other scrub. I like to mix them up a little bit. 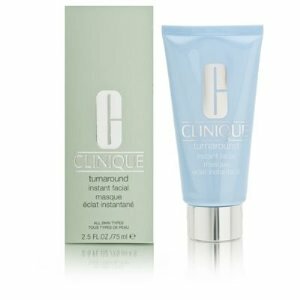 This is an oil-free facial mask that you leave on for about 5 minutes and is supposed to have the same qualities of a microderabrasion without the stress a microderm causes. From using it, it feels just like one of the scrubs I mentioned above, but a little bit finer. You use it on cleansed skin, which is why I use it after cleaning my face and it polishes off nicely, leaving the skin purified, declogged and even toned. Which is for all skin types. All of these Scrubs range from RRP £17-35 Go to www.clinique.co.uk to check them out. BUT in saying all of that...if I am not using either of those...I skip straight over to my toner. Because not every night can I be bothered to exfoliate...even with the 7 day cream! 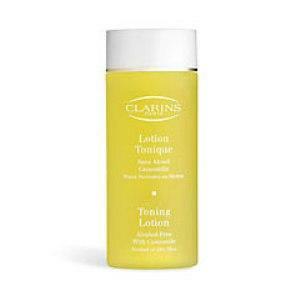 If my skin is feeling particularly sensitive, I like to use this toner, which is alcohol-free. It is gentle, refreshing and soothing. It is definitely one for dry or dehydrated, sensitive skin and is great before bed so your skin is soothed and soft after a day of thrashing it with makeup, environmental polutions and stress. I love it. This is part of clinique's 3-step cleansing routine...which has been converted to Ashley's a billion step, I don't use just one brand routine. *SOMETIMES I use the two toners together. 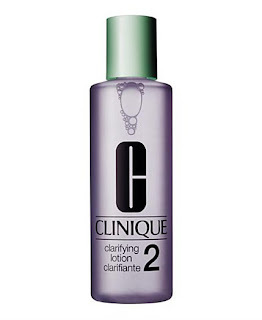 I use the Clinique 2 to clear the skin and then I use the Clarins Camomile to calm my skin and soothe it. Once I have properly cleansed my skin I will use either three of my skincare heroes! I have been using this beauty for well over a year now. It is a great anti-aging serum. 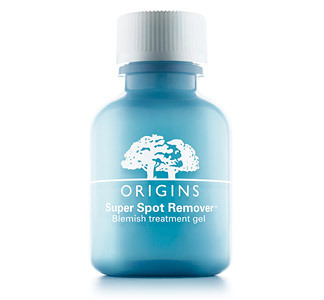 Your skin feels smooth, it reduces the appearance of ageing and dark spots. It's soothing on sunburns and sensitive skin. It helps repair skin with all the damage we TRY to do to it daily, from sun exposure, pollutions and diets and dehydration. It's not cheap but a little goes a long way! After solely using ANR by Estee Lauder I decided it was time I tried something else to see the comparison and just to try something new! Not that I am leaving the ANR behind. 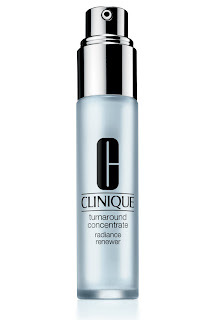 This is a beautiful serum which visible reduces those fine lines you see around your eyes and forehead. 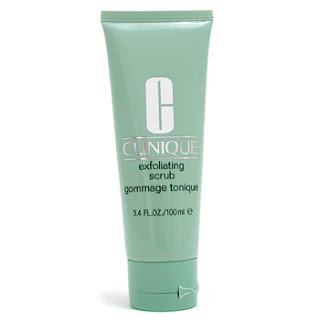 The skin feels smooth and it is great for sensitive skin. I never broke out, it was great when my skin became incredibly dry when I was travelling in the US and it has been great when my skin is a bit oilier. I definitely recommend this product. Origins really know what they are doing. 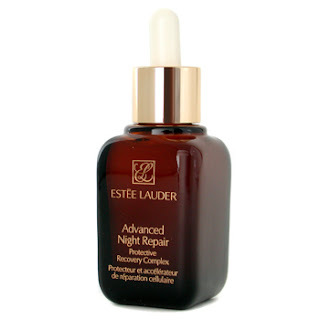 RRP £45 it is a little more expensive than the ANR but it is worth it. 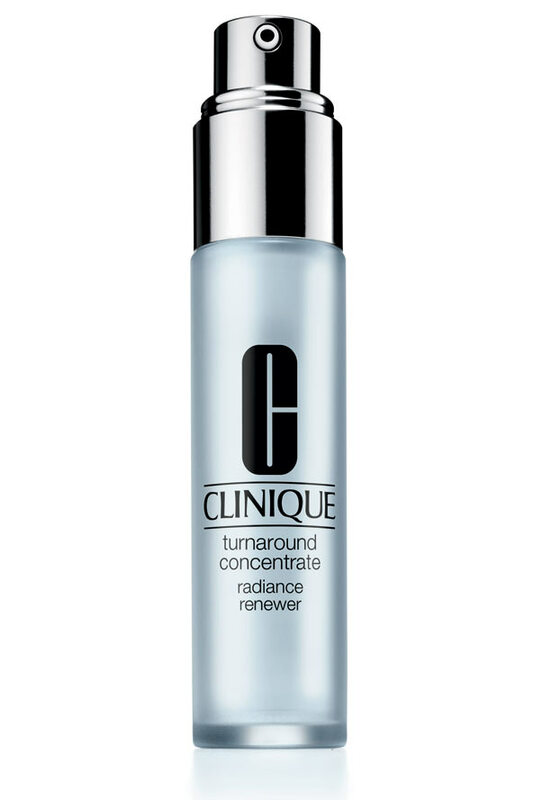 I have only been using this for a week so I haven't seen the full benefits from it yet, but apparently it is supposed to give 'radiance from within'. Somehow it has exfoliating qualities and it is supposed to help with cell-turnover (which the latter part is what ANR does as well). So far I am loving it and my skin is agreeing with it, but I will have to use it for a month before I know the truth behind it and what it can do for me. It is the cheapest of the three products so if it is good it might be worth trying for others who would like to save a few ££. So those are my hero serums I have been using and loving. I definitely recommend getting yourself a serum if you are over the age of 25...(when your skin naturally starts to lose it's elasticity), if you live in hot, dry climates or climates with severe weather than can damage the skin and those who live in big cities, who's skin is hating them for the pollution they're being hit with! These could keep time away from your face for a little longer before you have to reach for the botox! Last but not least I will always wear a moisturiser! Here is what I am wearing at night at the moment. Typically I steer away from lifting moisturisers as they tend to not be moisturising enough for me, but the Youthtopia is extremely hydrating! I love it and it really soaks right into my skin at night, making it feel soft and smooth and plump. My skin looks lovely in the morning as well. 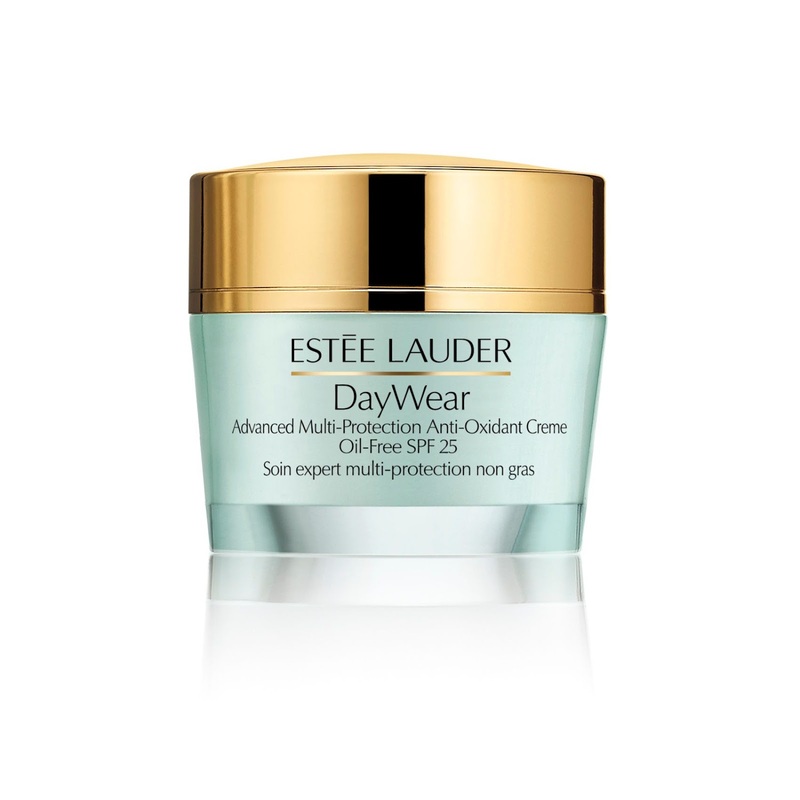 I really cannot say anything bad about this cream, other than if you have oily skin you may find this too rich for you. 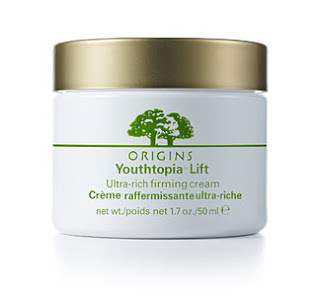 But nonetheless, give it a go or get a sample from Origins. This tiny little pot packs a lot of power! I am loving this. If I feel a spot coming on or I already have one which is lovingly revealed after cleansing my entire face, then I apply just a little dab of this and my spot is either completely gone or close to disappearing once I wake in the morning. It's only RRP £12. I think it's great and a little goes a long way so it will last you a while! 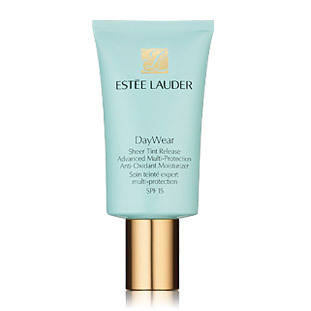 I like to use this moisturiser because it has the SPF 25 in it and it is oil-free. Because though I may have dry skin at times, I don't like a heavy cream during the day. It helps the skin regenerate just like the ANR and it helps the skin against free-radicals i.e. pollutions, sun damage etc. 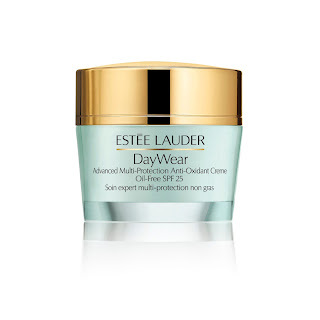 This lovely cream which also has an SPF 15, helps give the skin a natural even skin tone before I put on my foundation and sometimes I just wear it on it's own. It is a universal shade so there is no need to match colours. It has the same protection as the DayWear I mentioned above. On top of this...which I won't go into detail as I will probably bore you to death...but I sometimes use Origins No Puffery Eye cooling gel which you can keep in the fridge and is great for depuffing your bags under your eyes. 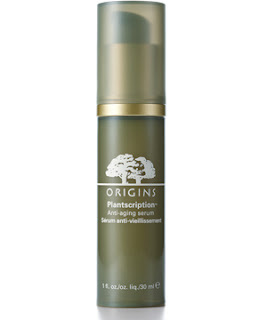 Origins GinZing Illumination Eye Cream which has light reflective properties and brightens tired, dark circles under your eyes. I also use Origins Plantscription Anti-aging Eye Cream as well. Obviously not all at the same time, but as and when my tired eyes need it! So this is my eclectic collection of skincare. You should think after all of this I would look like I am 4 years old...but unfortunately I have a 16 month old son who doesn't allow me to sleep much, runs me ragged all day which seems to be ageing me at a rapid pace! HA! But he's worth it and hopefully these creams and potions will counteract everything else! Thanks for listening me rant on and on about my skin! I hope it was helpful to you!